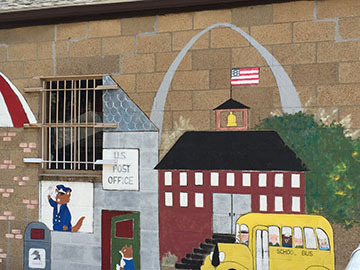 We would like to acknowledge the Saint Louis Watercolor Society members and friends who are repainting the mural on Our Little Haven’s building, originally created 16 years ago by SLWS volunteers. 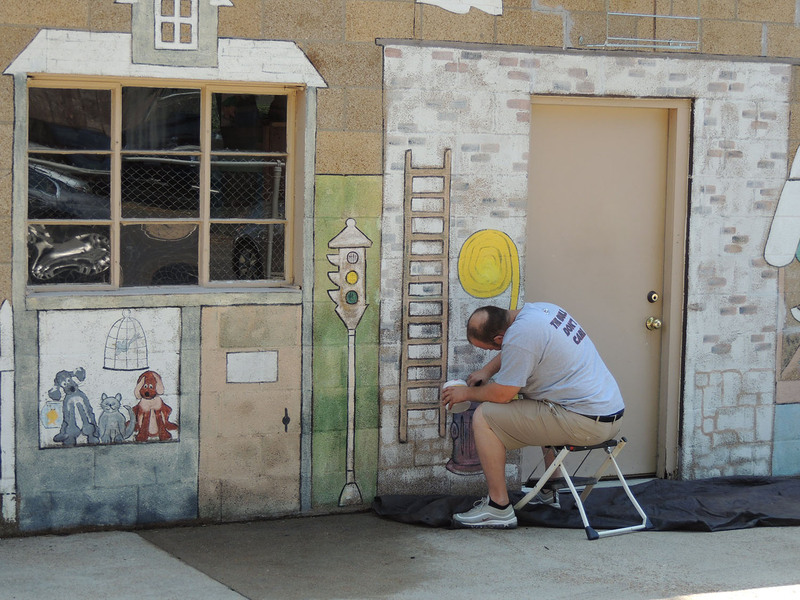 The paint had faded on the original artwork so Our Little Haven reached out to the SLWS for help in refreshing it. Kathy Moore was the first to answer the call for help and Gerry Klein joined her in organizing the effort. 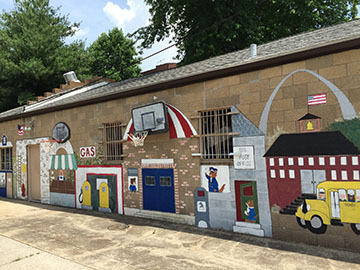 With a nice photo of the wall on poster board, Kathy Moore presented the call for help to the membership at our last meeting, and the project got off the ground. 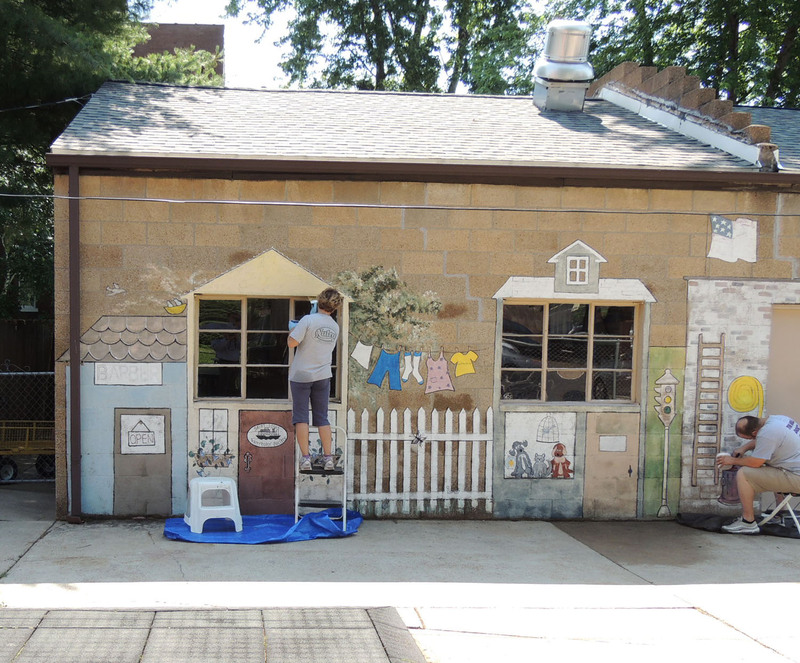 Last week Kathy Moore, her husband Jim Moore, Bryan Fuch, one of Kathy Moore’s employees, Barb Liebman, Gerry Klein, Pam Ponder, a friend of Gerry Klein’s, Sandy Baker, Mary Mosblech, Karen Papin, and Mike, an employee of Our Little Haven, worked on the mural. 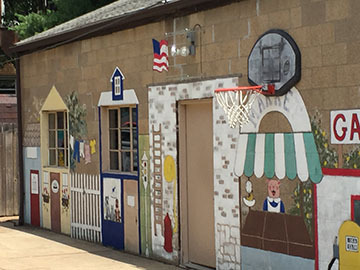 Milk paint colors and clear finish materials were generously donated by General Finish Company, owner Tom Monaham. They are water based products. Try them out! 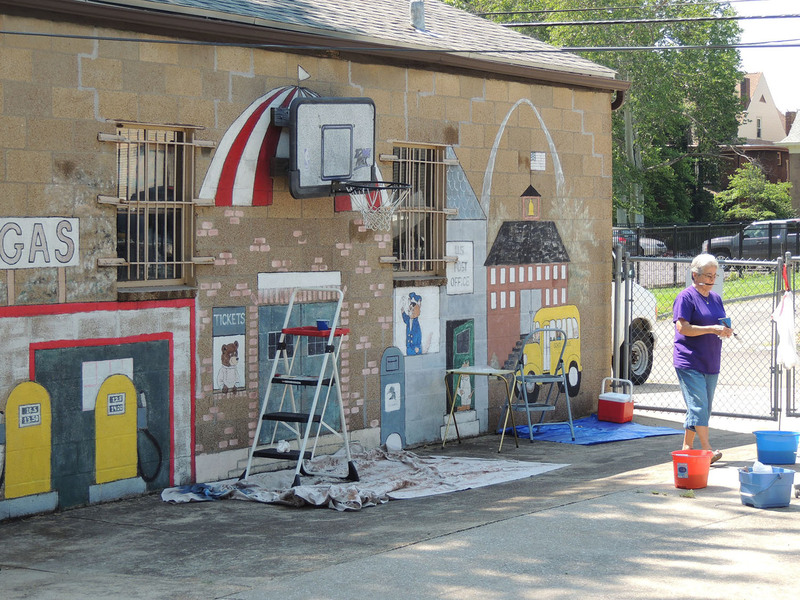 They still need volunteers to finish the project the week of June 22, weather permitting. 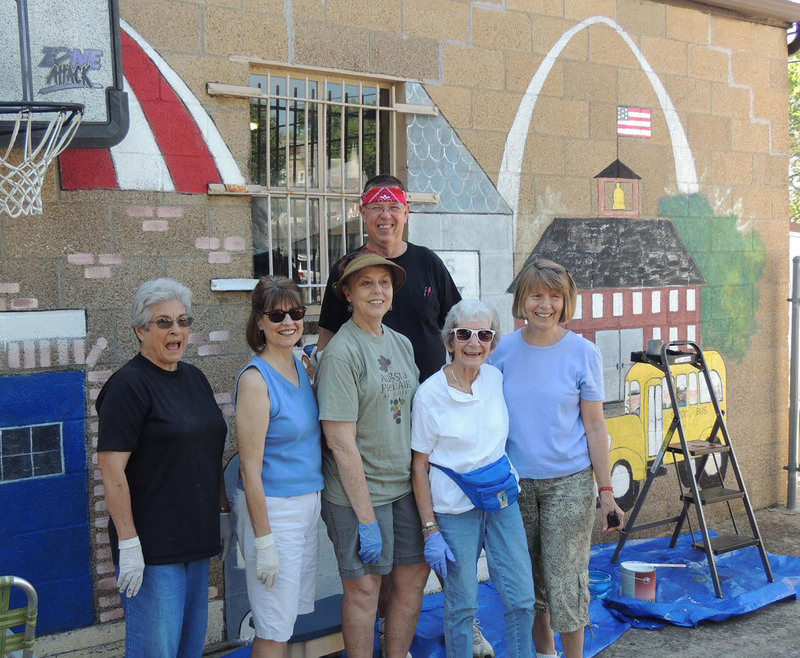 The group paints from 9 a.m. to 11:30 a.m. Please call or email Kathy Moore or Gerry Klein if you are able to help. Even working for two hours would be greatly appreciated. Near the intersection of W Pine Blvd and N Newstead Ave. Here are some photos of the wall’s progress and the volunteers working. We thank all the people who are so generously giving of their time and talents to this wonderful project and hope more people will step up and help with the finish.